With a 5.2-Inch Display, you'll watch everything come alive on a 5.2 HD Screen. It's clear enough to see every detail and wide enough if gaming is your thing. 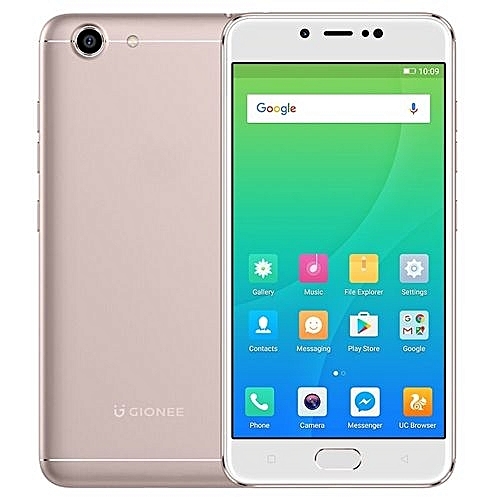 Also equipped with 13MP + 16MP, the only downside is that your friends will be using your Gionee S10 to take amazing pictures all the time. The 13MP Lens delivers pictures in true to life clarity. Take fine selfies with the 16MP Front Camera, the video call quality is top notch. With Gionee S10 Lite's battery, this is the phone you're happy to take with you on a journey. No matter what you're doing; gaming, browsing, making/receiving calls, you're free from a constant worry of battery depletion. CPU: Qualcomm Snapdragon 427 1.4GHz Quad core.